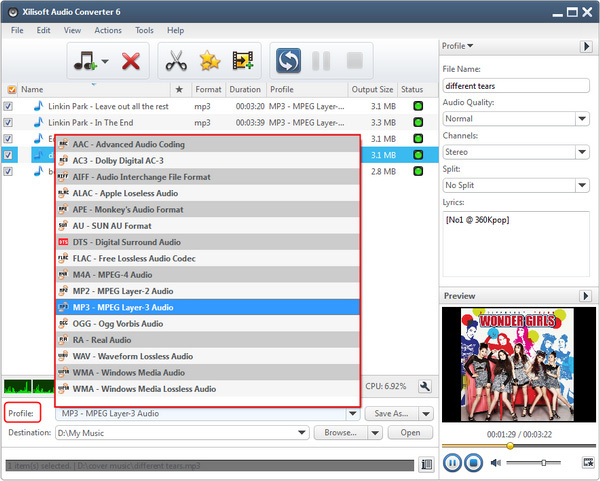 Current Page: Xilisoft > Audio Converter > How to convert AIFF to MP3? What is AIFF? How to open it? AIFF is an audio file format standard used for storing sound data for personal computers and other electronic audio devices. The audio data in a standard AIFF file is uncompressed pulse-code modulation (PCM). AIFF files can be opened with Windows Media Player, and likely many other multi-format media players. 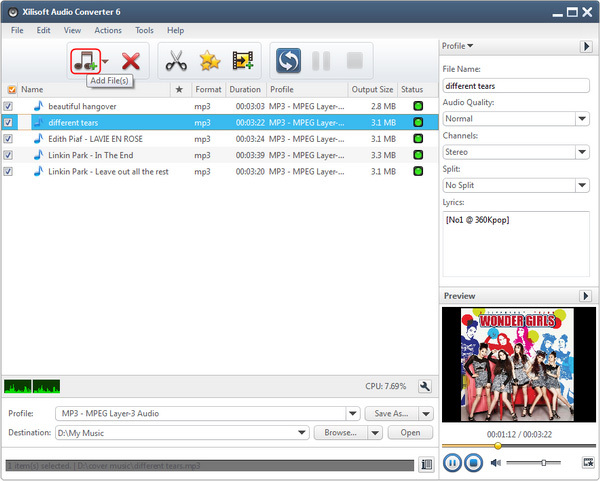 You can just listen to the music with AIFF on your computer with the player metioned. However, in case you will enjoy this music on other multimedia devices which don't support AIFF, you have to convert to other audio formats, usually, MP3 format. What software can be chosen to convert AIFF to MP3? Xilisoft Audio Converter is the all-in-one audio conversion software, especially the conversion from AIFF to MP3, which can help you convert AIFF to MP3, convert audios among WMA, WAV, AAC, FLAC, OGG, APE, etc easily with excellent music quality. The tips will sh you how to step by step convert AIFF to MP3 with the powerful AIFF to MP3 converter software. 2. Add the AIFF music files from the "File" menu in batches. Tips 1: If you need, append many tasks at one time and the AIFF to MP3 converter will convert them one by one for saving your time.